The RHA CL2 Planar costs $900. Planar magnetic headphones are the HiFi tech du jour via impressive (but pricey) recent models like the Blue Ella and Audeze Sine. Now, RHA has brought the tech down to a tiny new size with the CL2 Planar earphones. Not only are the buds very compact, thanks to a 10mm transducer and 16 micrometer diaphragm, but they're the first ever planar magnetic wireless headphones, says RHA. The wireless option uses a Bluetooth neckband with a 12-hour battery life, but you can also connect the buds directly with 2.5mm balanced or 3.5mm cables. The housings are molded from scratch-resistant zirconium dioxide, just like the company's CL1 Ceramic buds. Included with the buds, band and wires are a storage case, flight adapter and various silicone and Comply foam tips. Planar magnetic headphones create a perfect magnetic balance using opposing fields. In the middle of that is a helix-shaped copper coil, which oscillates in reaction to the audio signal. The oscillations are captured by a diaphragm, which transmits the sounds to your ears. As compared to regular dynamic drivers, which use a single ring coil, planar magnetic coils supposed have much less distortion, delivering more detailed sound, both in the bass and treble ranges. All this tech certainly doesn't come cheap. The RHA CL2s will cost $900, or £800 in the UK. 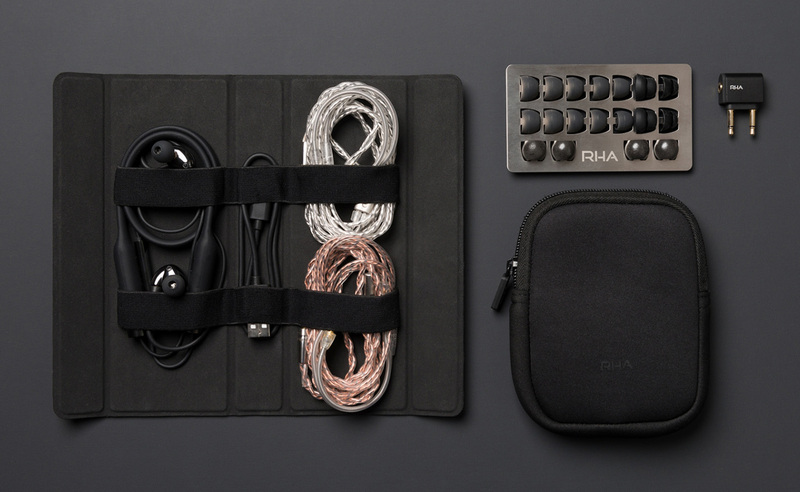 They're now available to pre-order on RHA's site, and deliveries and retail availability begin on September 12th.